Imagine being paid $5,000 to $15,000 for a single appearance. Imagine speaking at conferences and conventions for important groups of people, having them look to you for knowledge and advice, and then purchasing your books, CD's, and products after your presentation. Traditionally, professional hypnotists have had few ways to make a living doing what they love. You could build a hypnotherapy practice for hourly fees, learn stage hypnosis and try to work through the grueling circuit of bars, comedy clubs, colleges and state fairs for a few hundred dollars a night, or practice street hypnosis which is fun and interesting, but most don't even get paid to do it. What if there was a better way? What if you could pursue your passion, help hundreds and sometimes thousands of people at once, and earn huge appearance fees to boot? Welcome to the Corporate Hypnotist MasterClass. The next MasterClass is coming soon! Call 800-462-5748 for details. Is the MasterClass right for you? Those who attend this session are expected to have experience hypnotizing people and something to say. A genuine desire to help and teach people self-improvement is a must. This training is client-centered and a serious business opportunity. That being said, there are a few points to consider before registering for this program. Watch this video for an overview of the whole program! With so many other hypnosis courses available, why aren't dozens of other people showing you how to book these kinds of events? Easy. They don't know how! 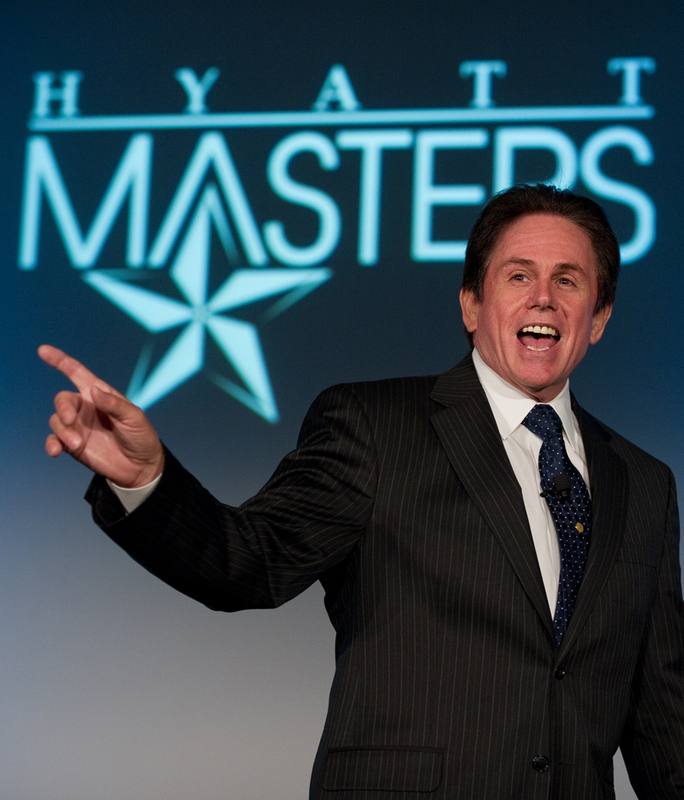 Anthony Galie is one of the speakers who literally invented the market for corporate hypnosis and regularly earned $10,000 per speech! Now he's willing to help you do the same. Anthony Galie is an internationally known author, psychotherapist, business trainer and keynote speaker with 30+ years of experience presenting to many of the world’s top organizations. He was able to integrate hypnosis demonstrations into his goal-setting presentations that were wildly successful. He has presented in Rome, Paris, London, Cairo, Istanbul, Singapore, and many other countries. Satisfied students all over the world. Listen to this feedback. Anthony is the guy the pros listen to! These days, you can learn stage hypnosis almost anywhere. There are dozens of stage hypnosis courses (some of them quite good) that cost around $2,000.00. If you apply what you learn there, you can typically get bookings in the $500.00 - $1,500.00 fee range in the entertainment market. There are also courses that will teach you street hypnosis. They typically charge in the $1,000.00 range. Most street hypnotists get paid very little or not at all. And there a number of very good training courses that teach you hypnotherapy and how to start and maintain a hypnosis practice. The complete training can often run into many thousands and is worth it because you learn a business that you can grow and earn a living from it. If you want to break into the corporate market, you have to have a presentation that corporate audiences – not to mention meeting planners – will notice and respond to. But simply rebranding your existing hypnosis show isn't enough. Successful speakers also use inside knowledge and experience. How to mix entertainment with education and a business-friendly keynote and the best ways to develop “buzz” within an industry or market. Easy steps to becoming a published author and developing products to generate additional income after speaking presentations. Produce high-quality websites and industry-specific demo videos that get businesses to start booking you immediately. Negotiate high-value contracts that offer first-class travel and accommodations. How to develop profitable relationships with well-connected speakers bureau agents and meeting planners, and get them to market your presentation for you. The secrets of creating a professional image that corporate event planners respond to. Anthony will show you how to do every one of these things in an easy, step-by-step way. As always, if you have any questions, comments or concerns, feel free to get in touch with Anthony at any time. Or call directly at 800-462-5748! Each MasterClass is an incredible weekend of learning and sharing from an internationally diverse group, and it doesn't stop on the last day. As Dr. Steve Coppola put it, "We've kept each other extremely motivated, and we're pushing each other to great things. The course has got some accountability to it, which I think we all need." Check out the "Raving Fans" page! The Corporate Hypnotist MasterClass is designed to get you booking corporate speaking engagements as soon as possible. The students who attended the first MasterClass are now off in the world reaping incredible rewards. © Corporate Hypnotist MasterClass 2017. All rights reserved.